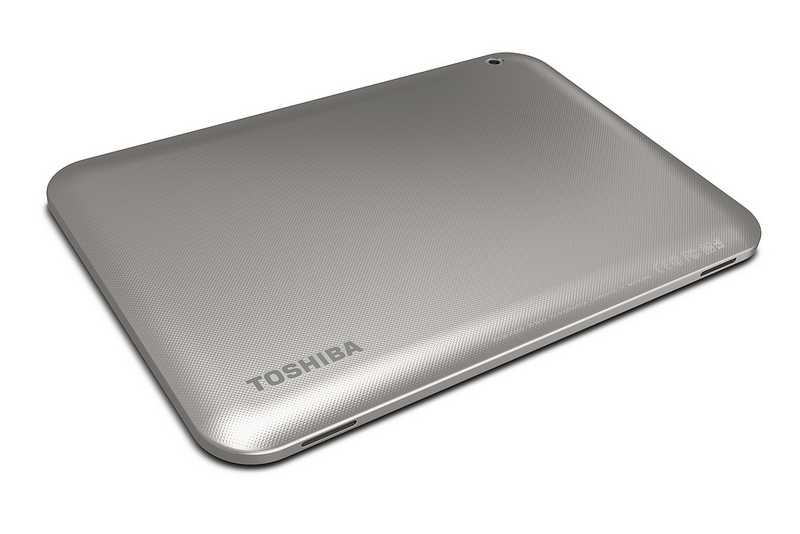 When it comes to Android tablets, Toshiba hasn't really been the "brand to buy," so to speak. It's not that they put out bad hardware, because that's simply not the case - the Excite 7.7 is one of the best Android tablets I've ever used. It's that they don't promote - or more importantly, support - devices after release. Case in point: today, the company has announced a new member to its Excite line, the 10" Excite SE. 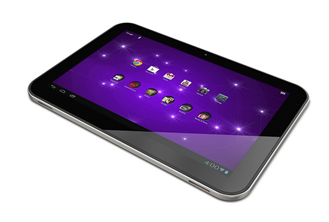 This makes the third 10" tablet in its Excite line, with the Excite 10 and Excite 10 LE coming before. While the latter of those is powered by a dual-core Qualcomm chip, the former is using the quad-core Tegra 3. Similarly, the SE is also using the Tegra 3, and it features a 10.1" "AutoBrite HD" display, 3MP rear shooter, "Fusion Lattice" finish, microSD card slot, microUSB port, and - most notably - Android 4.1. I can't help but draw the similarities to the original Excite, which features nearly identical specs. Unlike the original, though, the Excite SE will intro with a $350 price tag for the 16GB model, which is $100 less than the Excite when it debuted. Still, why not just update the OG and drop the price? There's no need to further fragment the market with an incremental (at best) update, which will likely do more to muck up the Toshiba/Excite name that it will to help it flourish. Alas, the Excite SE will go on sale in just two days time - on December 6th - at select retailers and directly from Toshiba online. IRVINE, Calif., Dec. 4, 2012 /PRNewswire/ -- Toshiba's Digital Products Division (DPD), a division of Toshiba America Information Systems, Inc., today announced the availability of the Excite™ 10 SE tablet, a multimedia-rich tablet with a 10.1-inch touchscreen, powered by Android™ 4.1, Jelly Bean. The Excite 10 SE offers an affordable option for people looking for a powerful and versatile tablet for the home, starting at only $349.99 MSRP1. "Our Excite family of tablets continues to grow with options to suit a wide range of consumer needs, from portability and gaming to versatility and power," said Carl Pinto, vice president of marketing of Toshiba America Information Systems, Inc., Digital Products Division. "We designed the Excite 10 SE to be a full featured tablet that offers a pure Android, Jelly Bean experience, while maintaining an attractive price point." 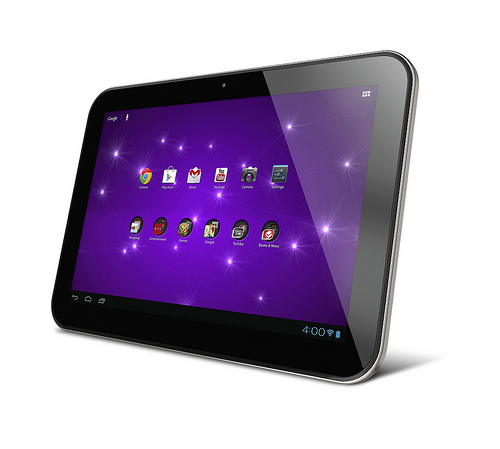 The Excite 10 SE features Android 4.1, Jelly Bean, which improves on the simplicity and usability of Android 4.0. Moving between customizable home screens and switching between apps is effortless, while the Chrome™ browser and new Google Now intelligent personal assistant and Voice Search apps makes surfing the web fast and fluid. Slim and light at only 0.4 inches thick and weighing 22.6 ounces2, the Excite 10 SE is encased with a textured Fusion Lattice finish, making it comfortable to hold and easy to carry. The tablet offers a vibrant 10.1-inch diagonal AutoBrite™ HD touchscreen display3 plus the NVIDIA® Tegra® 3 Super 4-PLUS-1™ quad-core processor4 that delivers smooth web browsing and outstanding performance for games, HD movies and more. Stereo speakers with SRS® Premium Voice Pro create an optimized audio experience for music, video and games, while providing greater clarity for video chatting via the tablet's HD front-facing camera. The Excite 10 SE also includes a 3 megapixel rear-facing camera with auto-focus and digital zoom for capturing HD video and photos. Featuring a wide range of connectivity, the tablet includes 802.11 b/g/n Wi-Fi®, Bluetooth® 3.0, as well as Micro SD and Micro USB ports for expandability. The tablet also charges conveniently via the Micro USB port.